On the most populated island in the US, you would imagine Mattress Disposal in Long Island came easy. The truth is, a good mattress is hard to come by and getting rid of the worn out old one can prove difficult. Why not seek help for Long Island mattress disposal? Rely on Mattress Disposal Plus – a name you can trust for fast, friendly and secure Long Island Mattress Disposal. It’s hard to move from one place to another and find space for household items that need to be disposed of like old mattresses, box springs and used furniture. This is why it’s necessary to seek out help when it comes to mattress disposal in Long Island. Many problems arise when disposing of a used mattress yourself such as transportation and where to dispose of the old mattress safely. Typical trash sites do not accept old furniture and mattresses unless they have gone through processing already due to the hazardous materials that can seep into the ground. 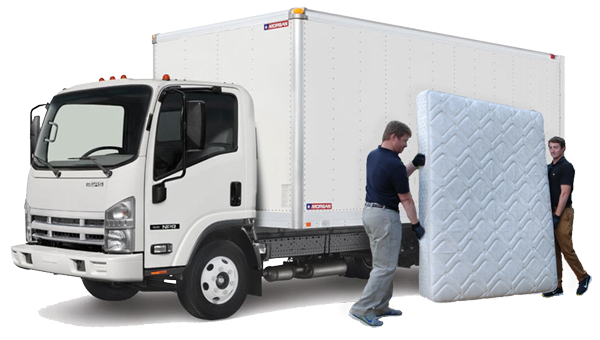 Mattress Disposal Plus takes the necessary steps to ensure the safe disposal of all mattresses, box springs and used furniture. Learn how Mattress Disposal Plus is helping save the earth in appreciation of Earth Day. View press release. Call (877) 708-8329 or Book Online to schedule New York mattress disposal. give us a call or book online today and you’ll be good to go until we arrive for our scheduled appointment. Once we arrive, we will do all the heavy lifting for your scheduled Long Island mattress disposal task. There will be no need to worry about getting rid of your old mattress again. We also offer other services like hauling off your old furniture. We are proud to offer our clients the satisfaction that comes along with quality and efficient service. We provide easy mattress recycling pickup throughout the Long Island neighborhoods and metro area. We pickup from your home or business with easy online scheduling. We can help with all of your Long Island mattress disposal needs. We offer mattress disposal and recycling services, as well as furniture removal, to all areas of Long Island including but not limited to Nassau, Suffolk, The Hamptons, Southampton and East Hampton. There is nowhere quite like New York City. We talk about it, we sing about it, we brag about it: you can travel the whole world over and never find a city that can outshine New York. New York is famous for a lot of things—the park, the plays, the diversity, the hot dogs, and more. However, unfortunately, New York City is also famous for its crowded nature and high population density, and these factors can sometimes make it very difficult to perform basic tasks. For example, have you ever tried to get rid of an old mattress or old furniture in New York? You can’t take it on the subway, and it is difficult to maneuver through crowded, cramped apartment buildings. You may not own your own vehicle large enough to transport it.